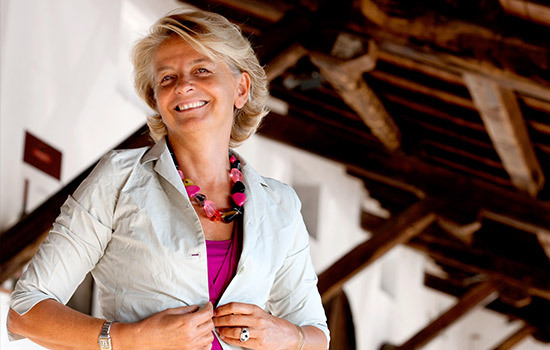 Chiara is the CEO of the various companies forming the Lungarotti Group: the Estate “Cantine Giorgio Lungarotti Srl”, the resort&spa “Le Tre Vaselle” and the “Aziende Agrarie” properties in Torgiano and Montefalco. Her motto: to preserve, progress, innovate and develop, while respecting tradition and her own roots. Chiara is deeply bound to her region of Umbria and grew up with a love for her land; she entered the company in the early 1990’s flanked by her sister Teresa Severini and guided by her father, Giorgio, one of the great names of Italian winemaking. 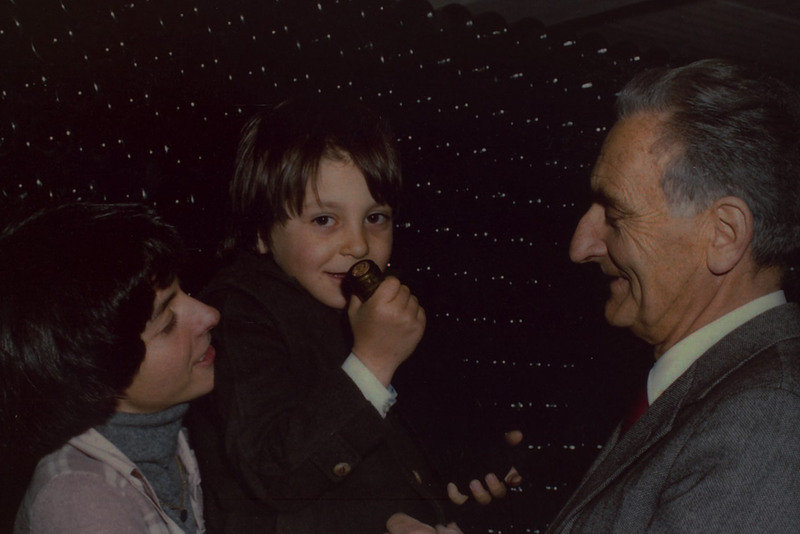 Chiara literally rose through the ranks, gaining experience that was precious when she took the helm of the Lungarotti companies at her father’s death in 1999. With a degree in Agriculture and specialization in Viticulture, her specific training and her enthusiasm are the basis of the innovation and transformation in the winery and family-owned vineyards according to avant-garde techniques. A dynamic entrepreneur, she inherited her love of the land from her father and confesses that she could recognize its scent and flavor blindfolded. Alongside her professional qualities, Chiara passionately cultivates interests in the cultural field, aware of the fundamental role that the culture of wine and olive oil have had in the development of civilization, economy, history and art, both in Umbria and in Italy. She is a Councillor of Federvini, and of Unione Italiana Vini, an Academic of Accademia della Vite e del Vino, an Auxiliary Academic of Accademia dei Georgofili of Florence and a member of the Board of Fondazione Perugia Musica Classica. 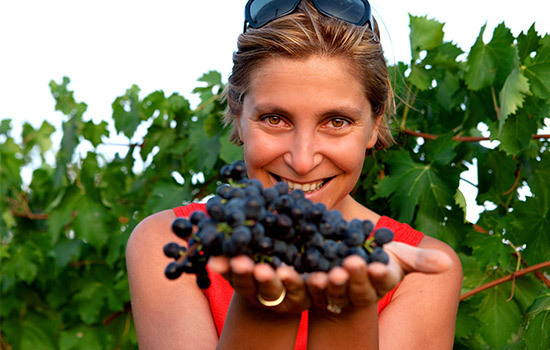 Teresa has an Enology degree from the Agricolture faculty of the University of Perugia and a specialization from the Institute d’Oenologie de l’Universitè de Bordeaux. Today, alongside her sister Chiara, she manages the family company as the marketing and communications manager. 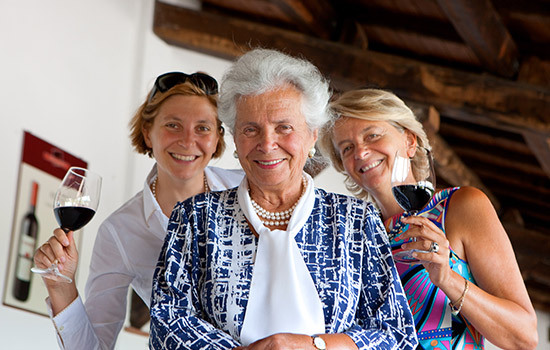 One of Italy’s first woman enologists, she has created wines that bear her signature, from the winery to the name to the graphics, always dialoguing with the consumer through the product image, that speaks of quality wines. Mother of three children, she places great attention on the evolution of the young wine-lover through a progression of products – from daily wine to the reserves – that can favour and guide future, informed consumers of wine. She has an unstoppable desire to create with completely feminine flexibility: a founder of the association “Le Donne del Vino”, since 2007 she has been Vice President of Confindustria Perugia and holds many positions in cultural associations and those for promoting the territory, as well as those promoting female entrepreneurship. The son of land-owners, after his Agricultural studies at the University of Perugia, he worked alongside his father in managing the family estate, experimenting in the sectors of viticulture, olive-growing, fruit orchards, tree cultivation, and cattle and swine husbandry. 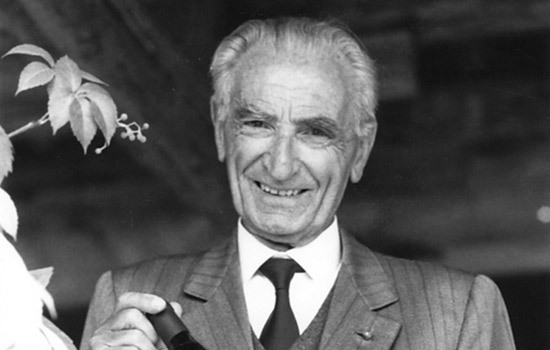 In the 1950s he managed the delicate passage from share-cropping to direct management of the family company, gradually moving away from other crops and specialized in viticulture, a choice which later resulted in the opening of Cantine Lungarotti Winery, a winery that from its inception has been based on rational methods and updated, responsible enological practices. In 1968 Torgiano received the DOC appellation for its Rosso and Bianco wines, the first of these prestigious appellations to be awarded to Umbria’s wine production; in 1990 the DOCG was granted to Rosso Riserva (with retroactive recognition to the 1983 vintage). With the collaboration and curatorship of his wife, art historian Maria Grazia Marchetti, he founded the Wine Museum of Torgiano (MUVIT) and the Olive and Oil Museum (MOO) in Torgiano, as well as the Lungarotti Foundation (1987) all of which are aimed at highlighting the great cultural heritage associated with agriculture in Italy, through activities of research, exhibits and publications. In 1981 Lungarotti found in Torgiano the wine competition called Banco di Assaggio dei Vini d’Italia (BAVI) in collaboration with the Ministry of Agriculture and the Region of Umbria, the latter of which took on its management in later years. In 1991 the President of the Italian Republic, decorated Giorgio Lungarotti with the title of Cavaliere del Lavoro. Maria Grazia obtained a degree in Literature and Art History in the 1950’s at the Università degli Studi di Roma; she lives and works between Perugia and Torgiano where in the 1970’s she has created, on the basis of wide-spread and attentive research and with rigorous scientific methodology, the Wine Museum and in more recent years, the Olive and Oil Museum. Both museums, thanks to her far-sighted outlook and her know-how in the fields of museography and museology, have become a veritable case history. 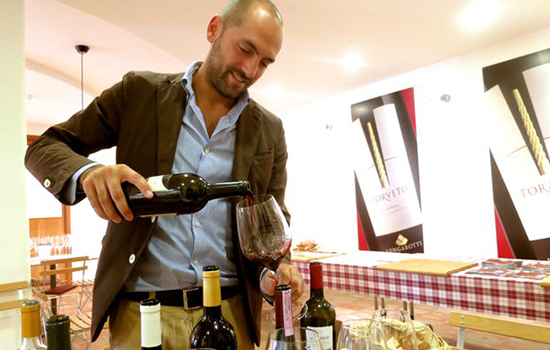 Thanks to her untiring activity and together with the qualified wine production of the Lungarotti winery, testimony and fulcrum of a cultural openness for supporting the agricultural and tourist economy of the territory, we can now say that the term “wine tourism” was born 40 years ago in Torgiano. Maria Grazia, with an intellectual fascination and vivaciousness that enchants everyone who has the pleasure to meet her, is director of the Lungarotti Foundation. In addition to numerous engagements and recognition in various cultural circles in Italy, she has been awarded by the President of the Italian Republic the title of “Benemerito della cultura e dell’arte” for her activities in favour of Cultural property, the title of “Commendatore dell’Ordine al merito della Repubblica italiana” and most recently, the highest honour conferred by the President of the Italian Republic: “Cavaliere di Gran Croce dell’Ordine al merito della Repubblica Italiana”. Francesco, Teresa’s son, has a Law degree from the University of Perugia, followed by a Master in Business Management from Sole 24 Ore Business School in Milan. Over a number of years, he gained work experience with a number of multinational corporations, after which he returned to Umbria and began his career at Lungarotti: initially, in the Public Relations and Communications department while supporting the Italian Sales department and working side by side with the entire sales network nation-wide. Subsequently he began developing relationships with Lungarotti’s importers abroad and was then appointed as the Winery’s Export Manager.